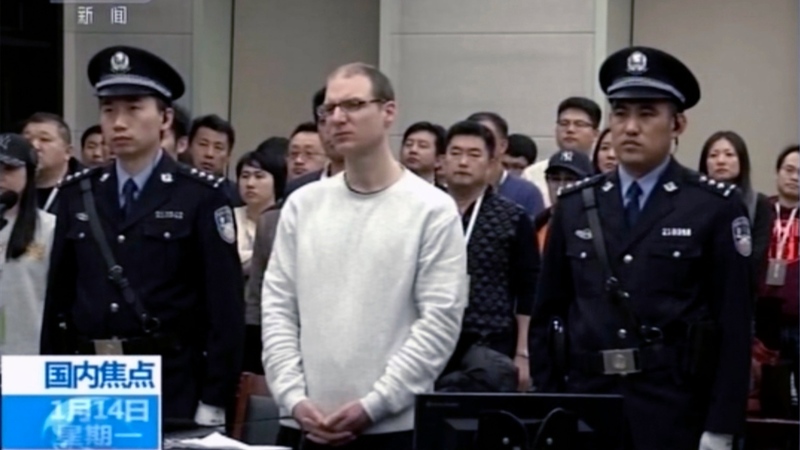 A Canadian man who was convicted of being an accessory to drug-smuggling in China has been sentenced to death in what appears to be the latest escalation of the ongoing diplomatic hostilities between the two countries. Robert Lloyd Schellenberg was first arrested in China in 2014. He was tried in 2016 and sentenced to 15 years in prison. That verdict was appealed, and prosecutors argued at the new trial that the sentence was too lenient. The new trial concluded Monday, with Schellenberg being found guilty and given a death sentence. Schellenberg has 10 days to appeal the sentence, according to his lawyer, Zhang Dongshuo. According to the court, Schellenberg was recruited to help smuggle 222 kilograms of methamphetamine from a warehouse in Dalian, China, to Australia. Zhang told The Associated Press that he had argued there was no justification for a stiffer sentence because no new evidence had been introduced at the second trial. 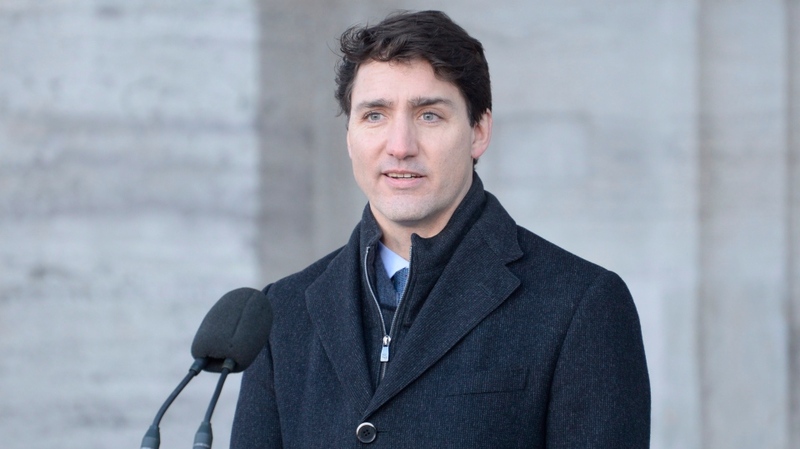 Speaking to reporters in Ottawa, Prime Minister Justin Trudeau said the Canadian government would intercede on behalf of Schellenberg, as it is required to do anytime a Canadian faces the death penalty abroad. “It is of extreme concern to us as a government, as it should be to all our international friends and allies, that China has chosen to arbitrarily apply [the] death penalty,” he said. While unusual, it is not unprecedented for a foreign national to be sentenced to death in China. British resident Akmal Shaikh was executed in 2009 for smuggling heroin. Chinese officials have suggested that Schellenberg’s case is not related to the arrests of Canadians Michael Kovrig and Michael Spavor last month or the arrest in Canada of Huawei executive Meng Wanzhou. Zhang said it was “unique” for a retrial to be held so quickly after it was ordered, but declined to comment on whether it could be related to the ongoing diplomatic dispute. Watch: Why is China's Huawei controversial? However, some analysts have suggested that Schellenberg’s fate could become a part of diplomatic negotiations between the two countries. Ben Rowswell, a former Canadian diplomat who now heads up the Canadian International Council foreign policy think tank, said he considered the death penalty to be “a really dangerous escalation” of hostilities from China. “In the absence of any messages from the Chinese government that they’re willing to protect the judicial process and have judicial issues dealt with separately from political issues, it certainly leads us to interpret this as yet another escalation,” he told CTV News Channel on Monday. Schellenberg’s case was never publicized by Chinese media until shortly after Meng’s arrest. Rowswell said Schellenberg’s fate would be “on the top of the agenda” for diplomats from Trudeau on down, with Canadian officials likely attempting to have Schellenberg returned to Canada and his case dealt with under the Canadian justice system. “They will be doing everything possible in closed, secret, diplomatic channels to try and reach a resolution,” he said. “In terms of public messaging, the important thing is to keep a calm tone, to focus on the serious situation facing all of these individuals detained,” he added on CTV’s Power Play. Lynette Ong, a professor at the University of Toronto’s Asian Institute and Munk School of Global Affairs, said the Canadian effort would likely involve convincing China that its world standing would be hurt if it executed Schellenberg. Speaking on CTV News Channel, Ong said China needs to be seen as a “benign power” in order to realize its goal of becoming a greater global power. “We need to persuade the Chinese that it is actually not in their national interest to detain Canadians or any foreigners as pawns,” she said. If it’s true that China is treating Schellenberg as a “pawn,” Rowswell said their efforts don’t seem to be benefiting them. “I just don’t think that China is doing itself any favours,” he said, noting that the case was already sending a “chilling effect” to business and academic interests in the country. Rowswell said Chinese authorities following through with the sentence could have far-reaching implications. “That’s going to push Canadians over the edge,” he said. Monday’s sentence was the “worst-case fear confirmed” for Schellenberg’s family, according to his aunt, Lauri Nelson-Jones. “It is rather unimaginable what he must be feeling and thinking. 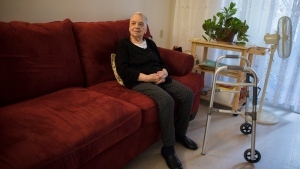 It is a horrific, unfortunate, heartbreaking situation,” she told The Canadian Press in an email.